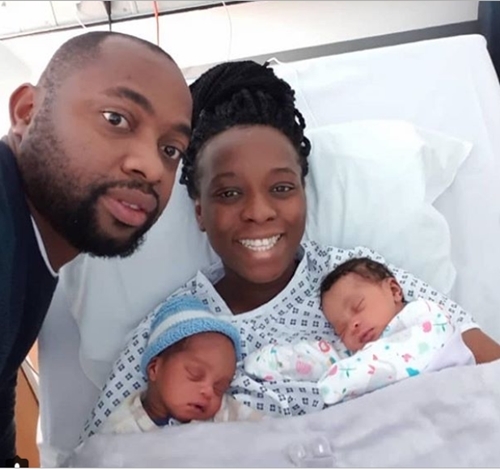 "After spending more than N11 million on IVF treatments my husband and I finally complete our family with a set of twins. @tadealalade has TWINSSS ooooo. It’s bad enough I more or less had no choice but to conceive through IVF but when you start having multiple miscarriages and having to deal with the fact that my husband and I are AS, it takes my journey to another level. I found out we were both AS after we got married (I’m still trying to decide if it would have made a difference if I found out before). The amount of tears I cried during my journey can fill an ocean. Majority of the tears came when I lost a set of twins (boy and girl) late in a pregnancy. That was when I truly knew what depression was. 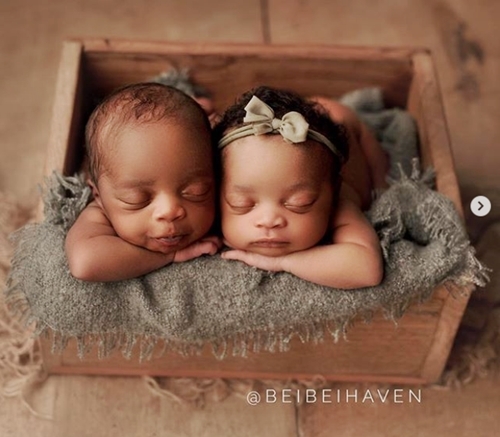 Now my Lord God finally completes my family with a set of twins. TWINSSSSS. Gosh my God is too awesome!!! He can truly move mountains. Absolutely nothing is too big for Him. I cry every time I realise how merciful the Lord is. I pray every single married woman experiences the kind of joy I’m feeling. Thank you Father."